Current principals and early career principals, assistant principals, and principal interns benefit from a sustained program of support that includes executive coaching and the development of leadership PLCs. Conducts role-playing of crucial and critical conversations with Fellows to inform them of ways to ensure that students and teachers are meeting the highest of standards. Improves the Fellow’s leadership ability by having individuals believe in themselves and develop the efficacy to find their own answers. Helps aspiring and novice leaders diagnose and solve the “Problems of Practice” themselves and thus build leadership capacity. Participate in joint observations of teaching and watch pre-conference and/or post-conference videos of the NELA Fellow with teachers as well as debrief with the Fellow on how they can improve. Conduct role-playing of crucial and critical conversations with Fellows to inform them of ways to ensure that students and teachers are meeting the highest of standards. Help the Fellow diagnose and resolve issues and thus build leadership capacity. Advise Fellows through various states of their Principal Residency project (also known as Problem of Practice – POP). Review with the Fellow their Individual Leadership Plan (ILP). Direct the revision of the needs assessment as necessary. Maintain weekly contact with their assigned Fellow (virtual, Skype, email, phone, or in-person). This visit should include a joint observation of teaching and/or video viewing at least twice a semester. Provide written feedback on weekly logs. Contact the Principal Mentor once a month (additional contact as needed). Complete a detailed evaluation of the Fellow’s progress. Participate in Coaches’ Feedback Meetings (2 per semester). Dr. Arrington earned her undergraduate degree in elementary education from North Carolina Wesleyan College in Rocky Mount and her master’s degree, principal certification, and doctorate from Campbell University. She served as a teacher, assistant principal and principal in the Edgecombe County School System, the Rocky Mount City School system and the Nash Rocky Mount School System. 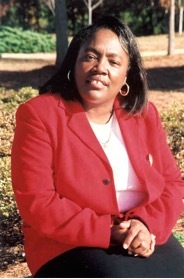 She joined the Principals’ Executive Program in 1993 as an Assistant Director where she directed several programs for school administrators including the Assistant Principals Executive Program, the Developing Future Leaders Program, the Higher School Performance Program, the Instructional Leadership for Reform Program and the Leadership Conference for New Administrators. In April of 2006 she was appointed by the University of North Carolina Board of Governors to the position of Executive Director of the North Carolina Model Teacher Education Consortium. Dr. Arrington retired on September 1, 2011 after over thirty-four years of service to public education in North Carolina. She is currently serving as a professor at Gardner-Webb University, teaching in the Master’s of Elementary Education Program. She also works part time as a program assistant and facilitator for the North Carolina Principals’ and Assistant Principals Association’s Distinguished Leadership in Practice Program. She serves on the board of the Durham Bulls Youth Athletic Association, The Prodigal Son Foundation and the Lincoln Community Hospital Foundation Board. She is a member of Alpha Kappa Alpha Sorority, Inc., Girlfriends, Inc., and Charms, Inc.
Dr. Ramey Beavers earned a B.A. in English Literature from William Carey University, Hattiesburg, MS; a Master of Education degree in school administration from the University of Southern Mississippi, and the Ed.D. in Educational Leadership from Mississippi State University where he was a Phil Hardin Scholar. In 1967 with five years of classroom experience, he became principal of a new junior high school in Pascagoula, MS. After 22 years in Mississippi, he moved to North Carolina to become principal of Cary High School. In 1992, he had the opportunity to open his second new school, the first multi-track year round middle school in North Carolina. He retired from WCPSS in 2006 but has worked with school systems in some capacity each year since that time. At the conclusion of the 2016-17 school term he completed 54 years in public education as a teacher, principal, adjunct professor, district level administrator, consultant in North Carolina, South Carolina, and Mississippi, and twelve terms as an interim principal in Wake County Schools at all grade levels. The middle school calendar model he developed is still in use at this time. He met with many groups across the state to share the YR story. As Senior Director for the Office of Growth Management for nine years, he developed assignment plans for the district during one of the periods of greatest growth. He and his wife Karen are celebrating fifty-four years of marriage and currently have all four grandchildren in college. Areas of service outside the classroom have include serving on diversity study teams, coach to beginning teachers, and consultant working with individuals to improve the quality of their teaching. Guiding teachers and assistant principals to the next level of leadership has been one of his passions. 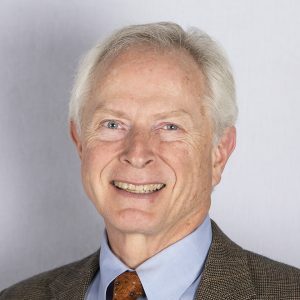 Tom Benton serves as Director of NELA Cohort V-DST and as an executive coach. His 40+ years in public education have focused on school level work. He was a high school social studies teacher for nine years and a middle and high school principal for 24 years. Since “retiring” in 2005, he has worked as a consultant for the state turnaround effort as a leadership facilitator/ turnaround coach to two high schools and three middle schools. He also worked as a leadership facilitator for NC New Schools by helping in the planning and opening of two Early Colleges and a New Tech high school. In addition he serves as the state coordinator for NCPAPA’s Future Ready Leadership program which is a year long training program for Assistant Principals. He served as Chair on the Wake County Board of Education. He has provided training to various groups in implementing PLCs, use of data, classroom management, best practices for school administrators, time management, and other topics. He presently lives with his wife of 40+ years and a dog and a cat. His two daughters are pursuing careers as a high school media coordinator and practicing Psychologist. In his spare time, he renovates old houses and hangs out at Surf City. As a leader of an urban school district, Dr. Carl E. Harris caught the attention of U.S. Education Department for his bold decisions to create small innovative high schools and his ability to garner business and community support for schools. Carl was named Deputy Assistant Secretary of Education, a position responsible for Pre-K-12 initiatives and State Technical Assistance. Dr. Kevin L. Hill retired in 2005 from the Wake County Public School System, where he spent his entire career. He taught secondary social studies for 14 years and served as a principal for 14 years. During his career with Wake County, Dr. Hill served as both a teacher mentor and administrative mentor. 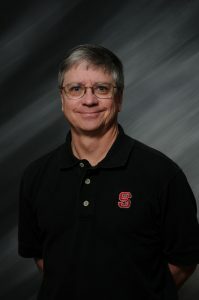 Dr. Hill was an instructor at the NCSU College of Education for nine years (2006-2015), teaching both undergraduate and graduate courses for social studies methods, and he served as the Interim Social Studies Program Coordinator and later as the Assistant Social Studies Program Coordinator. From 2006-2009, he was on faculty as a program presenter for the Principals’ Executive Program. He also served as a new principal mentor in Edgecombe, Chatham, and Person Counties. Dr. Hill has served two terms on the Wake County Board of Education since 2007, twice as Chairman, and will retire from Board service in December 2016. Most recently, he held interim principal positions at the elementary and high school levels in Orange County, as well as serving as a teacher evaluator administrator conducting classroom observations and evaluations. Dr. Tom Houlihan has been a coach with NELA from the beginning of the program. He has previously served as a teacher, high school principal and superintendent in both Granville and Johnston counties. In addition Tom served as Executive Director of the Council of Chief State School Officers in Washington, DC. Recently Tom was elected to the Granville County Board of Education. Tom previously served as Senior Education Advisor to Governor James B. Hunt, Jr., Governor of North Carolina. Dr. Houlihan is the first educator in history to hold Cabinet level status in a North Carolina Governor’s administration. An author and frequent speaker/consultant, Dr. Houlihan was selected “Superintendent of the Year” in North Carolina and was one of four finalists for National “Superintendent of the Year.” He has also been honored by his alma maters, Indiana University and North Carolina State University, as a distinguished alumni award winner for contributions to education. Henry Johnson is a Senior Consultant with Learning Forward, which was formally the National Staff Development Council. Prior to his current position, he was a senior advisor on B&D Consulting’s education team. He offers innovative approaches and strategies to help educational systems achieve and sustain improvements in student and school performances. Henry also has expertise in No Child Left Behind, teacher quality and other growing education issues. Before joining B&D Consulting, Henry was U.S. Assistant Secretary of Education for Elementary and Secondary Education after being nominated by President Bush and confirmed by the U.S. Senate. He has developed a wealth of experiences from more than 30 years of service as a classroom teacher, local administrator, state superintendent of education and national assistant secretary of education. Henry also served as State Superintendent of Education in Mississippi and Associate State Superintendent for the North Carolina Department of Public Instruction. Dr. Johnson is a member of the Southern Regional Education Board (SREB) where he has served as a member of their Executive Board of Directors. SREB is a leader in education and economic development for the South. Johnson also serves on various other boards and commissions. Just prior to joining the North Carolina Department of Public Instruction in 1992, he served as Assistant Superintendent for Curriculum and Instruction for Johnston County Schools. In his 30 plus years of experience as a professional educator, Johnson served as Assistant Superintendent of Schools for the Pleasantville Public Schools in Pleasantville, New Jersey, where he established their Education Foundation. He was a public school teacher for seven years, a principal for three years, and the middle school director for two years for the Wake County Schools in North Carolina. For five years, he worked as Director of Policy Development and Research for the North Carolina School Boards Association. In the mid-1970’s, he worked with the Department of Public Instruction as coordinator of staff development and as a consultant on programs for academically gifted students. Dr. Johnson is married and has two sons and a daughter. Wiladean Thomas is a lifelong educator whose career spans 34 years in various public school settings. She began here educational career as a teacher assistant and has held numerous positions throughout her career, including that of assistant principal and principal. She was a principal for 14 years in the Wake County Public school system where she led two schools: Rand Road Elementary and Holly Grove Year round Elementary. One of the schools was deemed a low performing school as it was second from the bottom in terms of test scores in the district when she became principal. During her six year tenure at that location, test scores rose more than 20 percentage points. One of her career goals prior to retirement was to open a new school and she was given that opportunity in 2006. She opened Holly Grove Elementary in a wing of Holly Springs High School, while the school was being built. Initially, there was huge community concern regarding elementary and high school children being housed in the same building; however that concern quickly dissipated after many discussions and a few weeks in the building with no incidents. She had a very successful first year and continued the school’s tradition of creating an environment where children thrived when they moved in their new building. She was principal at Holly Grove for eight years prior to her retirement in 2014. Her undergraduate degree was earned from Fayetteville State University in Intermediate Education with a concentration in History. She also holds certifications in Mathematics and Reading. She was a member of the first cohort of NC Principal Fellows, where she attended the University of North Carolina at Chapel Hill and obtained her Masters of School Administration degree. Since her retirement, she has continued to work in interim positions in Wake County as assistant principal and principal at a number of schools over the past two years. She has a strong commitment and desire to work with children and educators. Her goal has always focused on creating learning environments that fostered teacher leaders who were committed to the success of all children, was student centered, and whose processes and procedures were clear. She considered these elements as the cornerstone in ensuring that her school community were well informed partners in their child’s education and thereby supported the schools’ effort to help every child reach his/her highest potential. 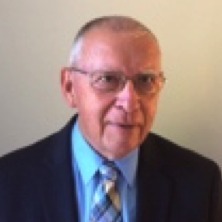 Dr. Mike Ward is an educational leader with over 37 years of public education service. He is president of The MEWs Educational Consulting, Inc. and serves as a consultant to state and local education leaders on matters related to leadership, school improvement, strategic planning, and assessment. From 1997 to 2004, Mike served two terms as State Superintendent of Public Instruction of North Carolina. Dr. Ward is past President of the Council of Chief State School Officers, whose members include state superintendents and education commissioners from across the country. He is also a past member of the National Assessment Governing Board, which oversees the administration of the National Assessment of Education Progress. His past experience includes service as a local superintendent of schools. He has also been a teacher, coach, and high school principal. Mike is a past recipient of North Carolina’s Superintendent of the Year award. A three-time graduate of North Carolina State University, he received the University’s Distinguished Alumnus Award. As a faculty member in the Department of Educational Leadership at The University of Southern Mississippi, he received the university’s Hero of Katrina Award and the College of Education and Psychology’s Excellence in Teaching Award. Mike is an active volunteer. He volunteers in the international relief work of Stop Hunger Now and is engaged in community development in South Sudan. He serves on the Advisory Board of the College of Education at North Carolina State University and on the board of the North Carolina Foundation for Public School Children. Dr. Branch earned his undergraduate degree in secondary education from the University of North Carolina at Chapel Hill. He earned both his master’s in school administration and doctorate in educational leadership from North Carolina State University. He served as a teacher and assistant principal abroad and in four North Carolina school systems before becoming principal in the Wake County Public School System. During his 20-year tenure with Wake County, Dr. Branch served as an elementary and middle school principal. He opened Centennial Campus Middle School on the campus of NCSU in 2000 and actively participated in the opening of the William and Ida Friday Institute for Educational Innovation. In recognition of his work, he was honored in 2006 with the first Friday Medal. At the district level in Wake County, Dr. Branch served as the senior director of magnet schools and the senior director of middle schools. In 2011, he was invited to return to the principalship and to lead the restructuring of Brentwood Magnet Elementary School of Engineering. He was named the principal of year for Wake County in 2012. Dr. Branch has also served as adjunct professor in the College of Education at NCSU since 2006. Currently, Dr. Branch assists in training new administrators for the Wake County Public School System. He also serves as an interim administrator when needed. Bill has been an educator in the public schools of North Carolina since 1974. He has been an elementary school teacher, served as a principal at the elementary and high school levels, worked as an associate superintendent for curriculum and instruction and spent 18 years as a superintendent. From 2009-13 he served on the State Board of Education and as Governor Beverly Perdue’s Senior Advisor for Education Transformation. Bill is presently serving as superintendent of the Alamance Burlington School System. Andy began at NC State in 2002 as Project Manager for the development of the Friday Institute at The College of Education. He also served as Visiting Professor in the department of Educational Leadership and Policy Studies. He was appointed to Director of Operations at The Friday Institute in 2005. Prior to joining NC State, Dr. Overstreet worked for 34 years in the public schools of Virginia and North Carolina as a teacher, principal and superintendent. He also lectured at UVA and UNC and is co-leader of The Innovation Leaders Academy at the Friday Institute. John Parker has worked in public education for 39 years, including 18 years as a high school mathematics teacher, 16 in various administrative jobs, and 5 as a program director and consultant for NC New Schools. For 33 of those 39 years, he worked in Northeastern NC, working as a teacher and administrator for 23 years in Northampton County and as Assistant Superintendent and Superintendent for 10 years in Roanoke Rapids. He received a B.S. in Mathematics from Guilford College in 1972, an M. Ed. in Mathematics Education from UNC-Greensboro in 1974, and an Ed.D. from East Carolina University in 2004. His doctoral dissertation focused on the relationship between teacher implementation of the National Mathematics Curriculum Standards and the influence of NC’s state testing requirements. Working with educators to recognize and move beyond the negative effects of over-emphasis on standardized testing is an ongoing interest of Dr. Parker’s. His positions on this issue have been featured in two books, Standardized Minds by Peter Saks and Electric Dreams by Caroline Kettlewell. Following his graduation from Davidson College, Joe Peel began his career as a German and Spanish teacher and football and wrestling coach at Myers Park High School in Charlotte. Seven years later he became assistant principal there and in 1980 became a junior high principal. After only one year in that position he was sent to Harding High as principal where he stayed for 4 years and then was sent back to Myers Park High as principal. Joe was named an area superintendent of 22 schools in 1988 and was the interim Deputy Superintendent in 1990-91. In July 1992 Joe was named superintendent of Elizabeth City Pasquotank Schools, a position he held until his retirement in June 2000. During his tenure as superintendent student test scores improved dramatically, the district was recognized not only for this achievement but also for its entreprenurialship by the governor and public confidence was restored in the public schools. The district was a statewide leader in the development of the ABCs Program and performance based assessment portfolios through the Outcome Based Education Initiative. Following his retirement Joe and his wife Carolyn moved to Raleigh where he started a leadership consulting business working with the five large districts in the Research Triangle Area. He provided training and development for teacher leaders, principals and worked with the district and schools to improve their strategic planning initiatives. This work was so successful that Joe has been frequently hired to consult with other states and large school districts who want to create leadership initiatives. In 2008 Joe retired again and they moved back to Elizabeth City. Since returning to the Northeast Joe has worked part time with the Department of Public Instruction as a District Transformation Coach and NC State University’s NELA. Perhaps the most important thing to know about Dr. Peel is that he is a family man. Carolyn, his wife of 45 years, and he have raised two sons both of whom are married and are public school educators. They enjoy their six grandchildren, three of whom reside in Elizabeth City. Prior to founding Strategic Educational Alliances, Inc. in late 2007, Tom Williams served the public schools of North Carolina for thirty-two years. Most recently, he served as superintendent of the Granville County Schools from 2000 until his retirement on June 30, 2007. In the summer of 2010, he was appointed the Interim Chancellor of the North Carolina School of Science and Mathematics. He served over six years as the Executive Director for the North Carolina Business Committee for Education (NCBCE) under Governor James B. Hunt, Jr. from 1994 Carolina. Beginning as a teacher/coach in the Wake County Schools, he has been an elementary, middle, and high school principal in both Johnston and Granville Counties. From 1991-1994, he served as an assistant superintendent with the Johnston County Schools. After transferring from Boston College, Tom received his undergraduate degree in Elementary Education from Pembroke State University and his M.A.Ed., Ed.S., and Ed.D. 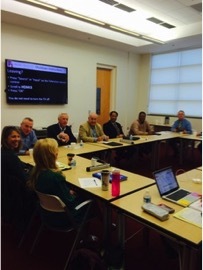 in Educational Leadership from East Carolina University. He also had experience serving as an Executive on Loan at the Department of Public Instruction in the Principals Leadership Institute under the leadership of State Superintendent Craig Phillips. Dr. Williams was recognized by Governor James B. Hunt, Jr. with the state’s highest honor, the “Order of the Long Leaf Pine” in 2000 as well as a Distinguished Service Award from the State Board of Education and Department of Public Instruction. He was inducted into the East Carolina University “Educators Hall of Fame” in 2002. In 2003, Tom was first recognized as a Rotary International Paul Harris Fellow by the Oxford Rotary Club and in 2007 received Rotary’s second pinning as a Paul Harris Fellow for outstanding community service. In 2005 he was honored as the outstanding Alumni by the University of North Carolina-Pembroke. Tom and his wife of thirty-eight years, Lisa, are avid dog lovers and are the proud “parents’ of a rescued Greyhound, Nija and a rescued Poodle, Homie.